Located in the heart of North Beach, San Francisco, Mona Lisa serves authentic Italian cuisine. 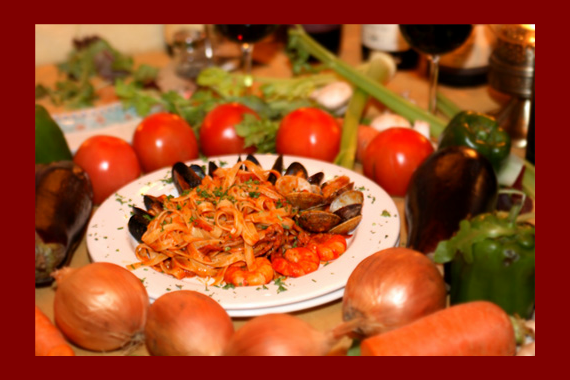 We have an extensive selection of homemade pasta, seafood, meat, and pizza. "Today and everyday we're grateful for all that Mother Earth provides us. Happy Earth Day!" "We promise this tastes even better than it looks." "When fresh is your aesthetic." Food was excellent, great portions. Extensive wine list, Defiantly coming back. We were a party of 15, and our server took great care of us. Can't wait to go back. Yes, I'd like to receive news from Mona Lisa Restaurant. Sign up for the Mona Lisa Restaurant Newsletter!